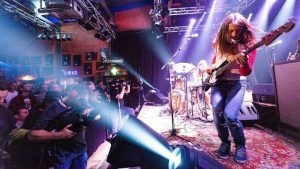 Last fall COOGANS BLUFF appeared at Rockpalast’s very own Crossroads Festival in Bonn. The complete concert was broadcast and taped and can now be watched in its entirety on YouTube. The band delivered a stand-out performance, which a review later called „A dream of concert. […] will enter the books as one of the highlights of the entire concert series“.